I broke my Bloody Mary duck over breakfast, and what better group to do it with than the rest of the Groom party; Joe, Me, Dad, Andy K, Jimbo, Johnny, Mark R, Mark W, Bruce, Will, Foster and Paul. 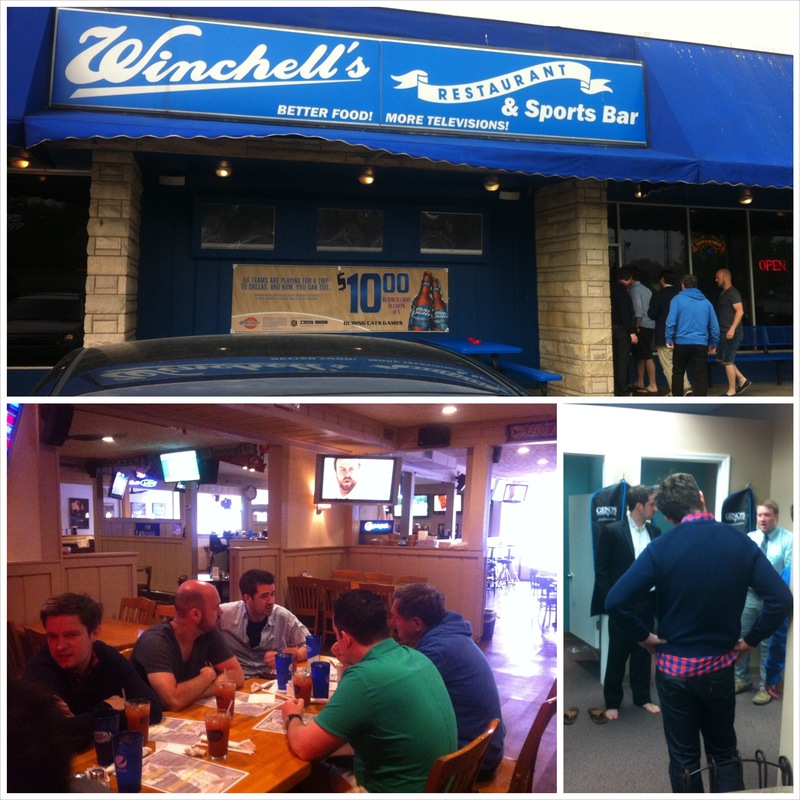 We’re at Winchell’s Bar for breakfast, next door to Geno’s who have the honour of being the official suit supplier to the #TeamColliver Wedding. We’re here to get our final fittings for our Groomsmen tuxedos before heading off to Keeneland Races for a day of gambling with the rest of the gang. Despite us all providing our sizes 6months earlier, they’ve still buggered up most of the kit. They’ve pretty much gone for the much practiced and much failed one-size-fits-all approach, despite clearly getting a heads up that unlike Ellen’s Bridesmaids (a fine collaborative cohort of Southern Belles), Luke comes equipped with a band of men of all different shapes and sizes. Anyways, after given the store clerk a wedgie and leaving him hanging from one of the outside lampposts, we jump in Paul and Foster’s shuttles and head for Keeneland. Now’s a better opportunity than ever to say the ease would not of been possible without Foster and Paul. Jumping from one vendor to the next, these two made sure of a seamless experience. We did our bit (i.e. waking-up in the morning) but they did the hard, and often thankless, bit of making it all come together. Meanwhile, the Bridesmaids party spent the morning in a town called Nonesuch, about 20 minutes from Lexington, for a Bridesmaids Brunch at a restaurant called The Glitz. Mum said how the beautifully lit restaurant sits below Irish Acres, a huge gallery housing antique furniture, jewelry, dolls, toys and glassware. It sounded a bit like my Nan’s house back in Kingsbury. 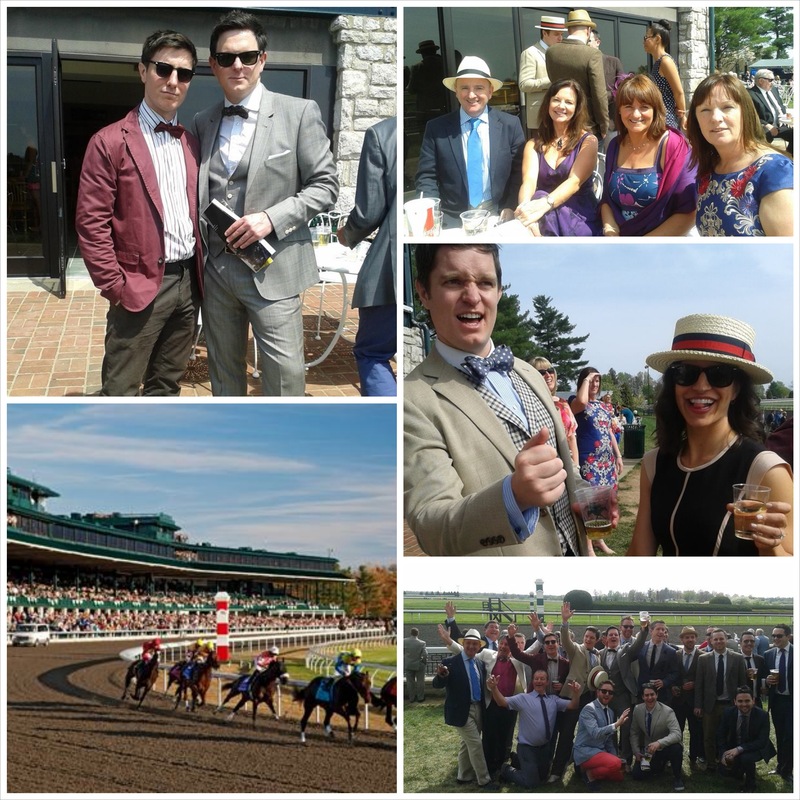 We all meet at the prestigious Keeneland, the no.1 thoroughbred horse race track in the USA, for a day of laughs in the sun.